I went to see a consult the other day in the ED, and the patient kindly informed me that he wanted a different doctor because he felt that “women can’t be real doctors.” I was so mortified that I couldn’t think of anything to say in response, so I walked away and sent my intern to see the patient instead. I work in a department with plenty of female faculty in a relatively liberal city, so his response totally took me by surprise. Should I unfortunately find myself in a similar situation in the future, what can I possibly say in response to a comment like this? If the patient seems educable, say something like, “I’m sorry you feel that way, sir. However, I am the surgeon in charge of evaluating you and unfortunately, we think you have a surgical problem. I assure you, I am eminently capable of taking care of you; I’ve had 4 years of college, 4 years of medical school, XYZ years of residency, and this is what I do every day. Over one third of practicing surgeons are women and studies suggest our outcomes are better than male surgeons. So, tell me what’s going on with you today?” Most people will be reassured and not persist. If the patient is hostile or uneducable but there truly is no option for a man to take care of the patient (all female trauma team, rural surgeon, etc), then you say something like, “I’m sorry you feel that way, sir, but this is a surgical emergency.” Then you leave it at that. Patients do have the right to leave the hospital against medical advice and go on to die horribly, and you can advise them of that right if they insist. Finally, it’s sometimes helpful to flip the narrative and consider what you might say to a patient if you were a male resident in an OB/GYN program where patients often request female providers. While not entirely the same thing, it made me consider that some men may be just as uncomfortable with being examined by women for reasons other than underestimation of skills or condescension. Just a thought. Dr. Crandall is Director of Research and Professor of Surgery at University of Florida Jacksonville. Dr. Crandall is originally from Detroit, MI, a product of Head Start and local public schools. She obtained a Bachelor’s Degree in Neurobiology from U.C. Berkeley and attended medical school at the Charles R. Drew/U.C.L.A program in Los Angeles. She finished her General Surgery residency at Rush University & Cook County Hospital in 2001. 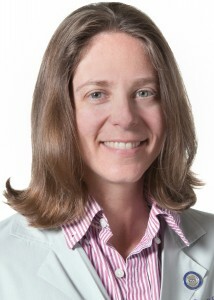 In 2003, Dr. Crandall completed a Trauma & Surgical Critical Care Fellowship at Harborview Medical Center in Seattle, WA, where she also obtained a Masters in Public Health from the University of Washington. Dr. Crandall has been a member of AWS since residency. In 1996, surgical residencies were 20% women across the nation, so it was very encouraging to see the phenomenal achievements of other women surgeons. She began committee service as an attending, first serving on the Academic Practice Committee (now the Clinical Practice Committee), and subsequently served as Vice Chair, then as Chair of this committee. Currently, she is in the third year of a three year term as Guest Editor for the annual American Journal of Surgery issue highlighting Association of Women Surgeons research. This has been incredibly rewarding and has led to the publication of approximately 20 member-authored articles per year in AJS. Finally, she is currently serving a 3-year term as the AWS Liaison to the American College of Surgeons Women in Surgery Committee. She remains amazed and grateful at how incredibly supportive and instrumental to her career the network of women surgeons has been. The Association of Women Surgeons (AWS) is excited to bring to you a resident and fellow focused blog titled, “Dear Pat”. “Dear Pat” answers questions about issues pertinent to surgical residents and fellows, such as navigating through residency, applying to fellowship, family planning, and handling difficult situations on the job. Questions may be submitted by residents and fellows anonymously and will be answered by AWS council members. This monthly blog is published the fourth Sunday of each month. We want to hear from you, if you are interested in submitting your anonymous question, use this link.